According to the National Association of Professional Organizers, paper clutter is a big problem for most businesses. Studies show the average person wastes 4.3 hours per week searching for papers. This can add stress and frustration while reducing concentration and creative thinking. The average executive loses one hour of productivity per day searching for missing information. And, according to the Small Business Administration, the biggest burden for small business is the inability to properly service customers, increase sales and improve the bottom line because of mishandled paperwork. For many of us, it seems like there’s never a convenient time to get to the task of uncluttering and organizing, especially in recent years when employees often feel compelled to work harder and longer. 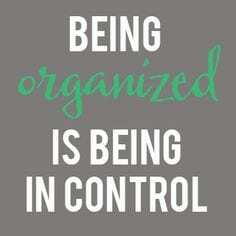 But being organized can be a real competitive advantage. Every minute counts when it comes to impressing clients. In your business, you strive to project that you’re knowledgeable, in control and expert at what you do. The amount of information that you receive, paper and otherwise, is rapidly increasing every year. Getting rid of what you don’t need and re-organizing what you should keep will ensure that you keep the focus on what’s important and maintain clarity of thought and creativity to maximize productivity.